Bookies believe that Leyton Orient are the favorites to win the Vanarama National League this year. However, we think that it’s Salford City who are going to finish first place by the end of the season. Meanwhile, Solihull Moors are also in the mix, as their players are absolutely on fire lately. 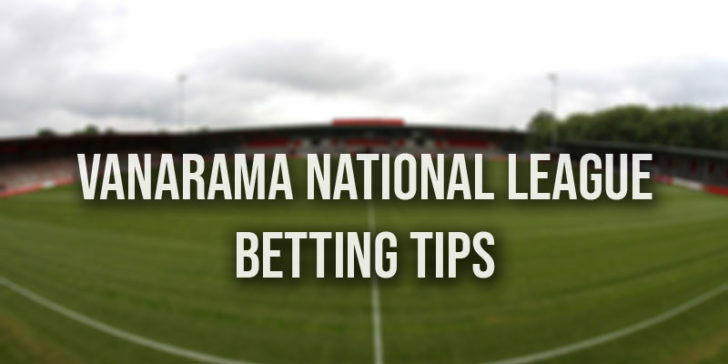 With only 4 more rounds left, here are our Vanarama National League 2019 betting tips. We’ve been buzzing about the potential ratings in FIFA 20 a lot this week, and we also started to wonder about which clubs we’ll be able to play with in the new game. League Two is on the lowest level of the UK leagues available in FIFA (besides the Scottish Premier League, of course). Now, two clubs are going to get promoted to this league within weeks. We’re already excited to see which ones can make it to the 4th division of England. Therefore, we’ve checked out some stats and the odds at Unibet Sportsbook and made our Vanarama National League 2019 Betting Tips. Online sportsbook sites in the UK argue that Leyton Orient are the favorites to win the title this year. At the time of writing this article they’re in the first position by two points. However, this can still change in the next few weeks. It’s been a long season, the players are quite tired. It’s easy to make mistakes at this time of the year. Furthermore, Leyton Orient still have to play Solihull Moors away, and that could be a tough game. The difference between the two teams is only 3 points. Salford City are also competing for the first place. As we wrote earlier, this club is owned by Manchester United legends, including Gary Neville and David Beckham. They’re also known for their former goalie’s toilet-related problems. Now, the Ammies are only two points away from the first position. Though 3 of their 4 games are against clubs that are closer to the bottom of the table, they’ll still meet Flyde, which is going to be an interesting clash. They’ve gained 13 points in their last 5 games – Leyton Orient only collected 8. Though Unibet Sportsbook doesn’t really believe in Salford, we argue that they still have a great chance to win the title and get the promotion. Though Salford was promoted to the National League last summer, looking at their investors their success is not surprising at all. Solihull Moors, on the other hand, have been real underdogs before the start of the season. They were involved in the relegation battle last year, and they eventually finished 18th. We didn’t expect them to have such an amazing season, yet they’re still challenging for the title. They’re only 3 points from the top.